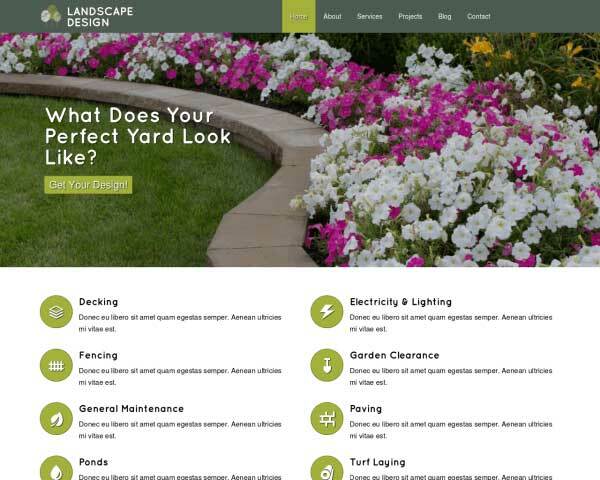 Dazzle prospective clients with gorgeous full-width images of your work when you build your lawn care business website with the Landscape Design WordPress theme. 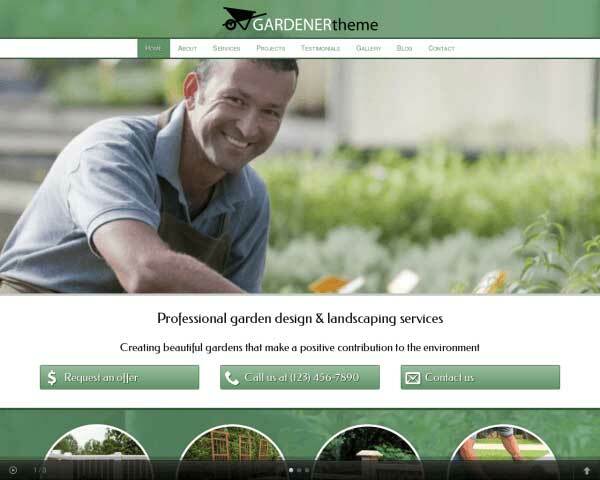 It's designed to help you beautifully present your gardening services and expand your reach online. 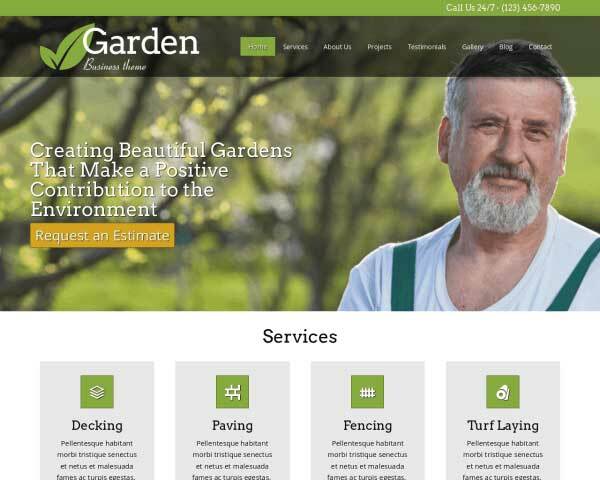 Big background images on a full-page slider are an ideal way to show off stunning landscapes so green you can almost smell the grass. 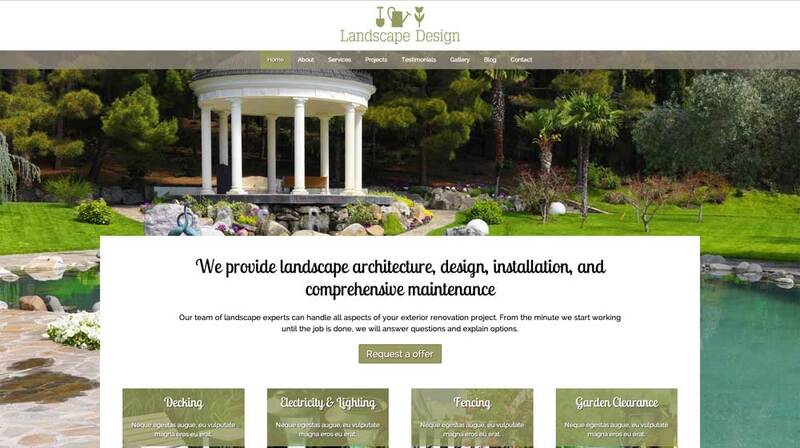 We've put a lot of thought and research into what would make the best website template for landscape architects and gardening businesses. 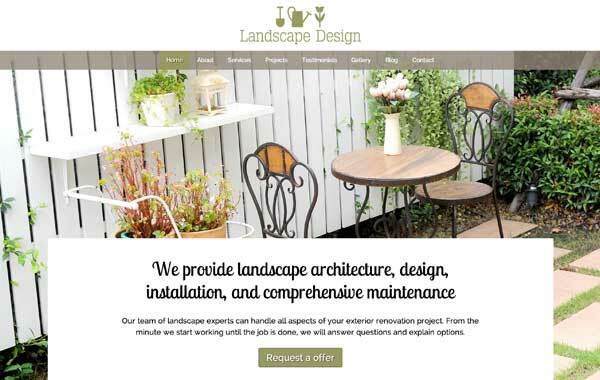 That's why the Landscape Design WordPress theme is pre-built with pages for common landscaping services, project details, client testimonials and so much more. We've even included a few sample blog posts and a full-width slideshow gallery so all that's left to do is replace the text and placeholder images with your own. 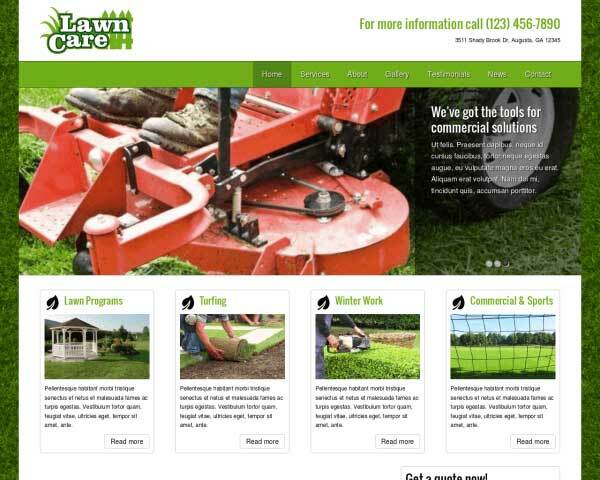 No coding skills are required to personalize your lawn care website. 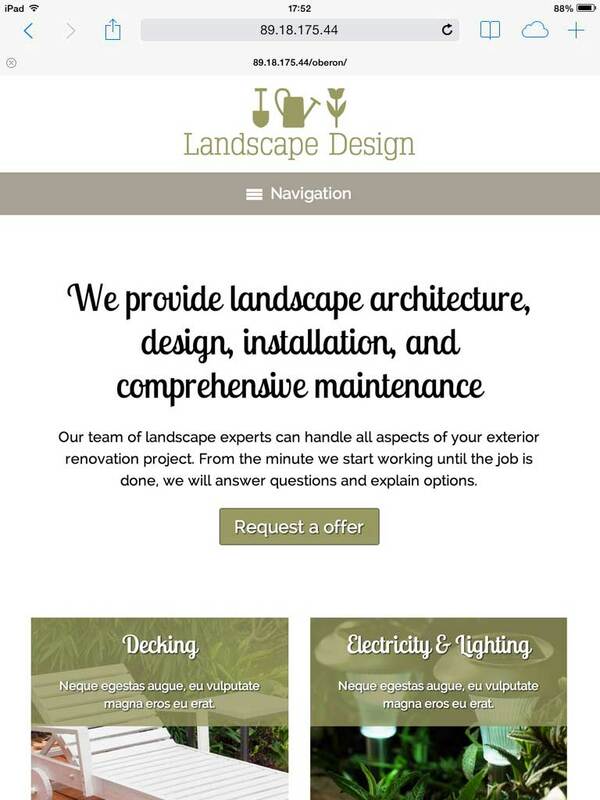 Using our unique front-end editor and easy drag and drop widgets, you'll be able to choose your own color palette, adjust page layouts and customize contact forms even if you've never built a website before. 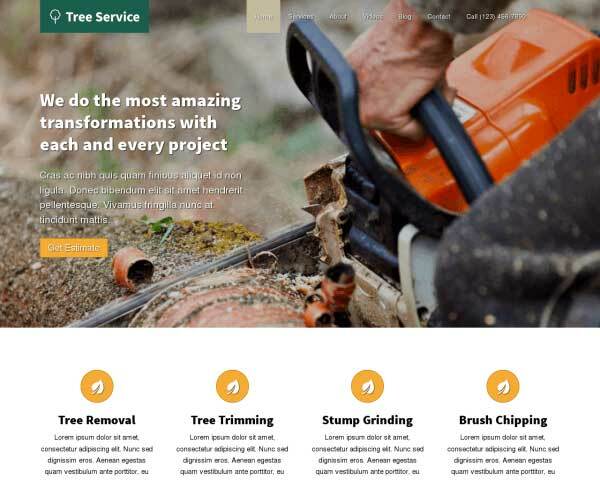 This premium WordPress theme includes integrated social media options and a convenient SEO manager to boost your search engine rankings and raise your online profile. 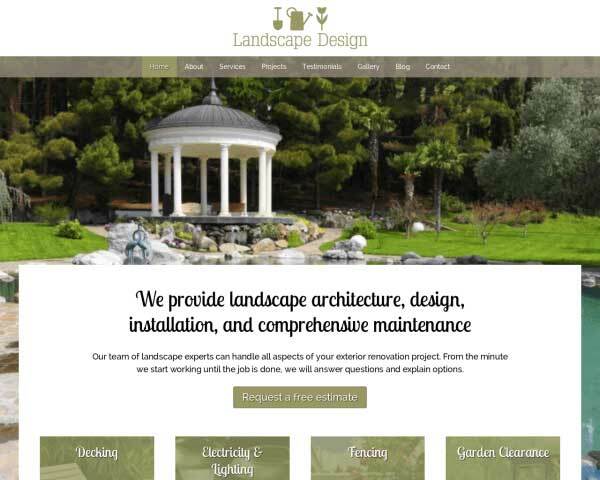 The Landscape Design WordPress theme can help you grow you landscaping business with a great website that converts visitors into clients. 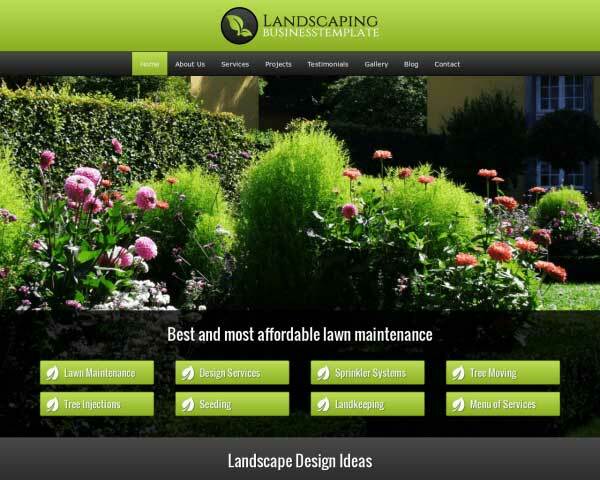 When you start with the responsive Landscape Design WordPress theme, your landscaping business will make a professional impression online even when visitors use smartphones and tablets to view your website. 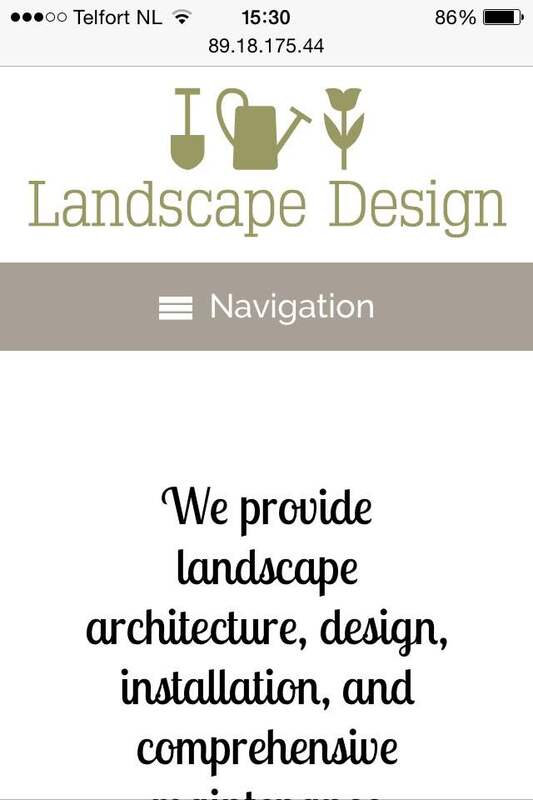 Add pages or upload new photos to your galleries with confidence knowing that our solid mobile-optimized design will automatically adjust your content to render beautifully on any screen size. 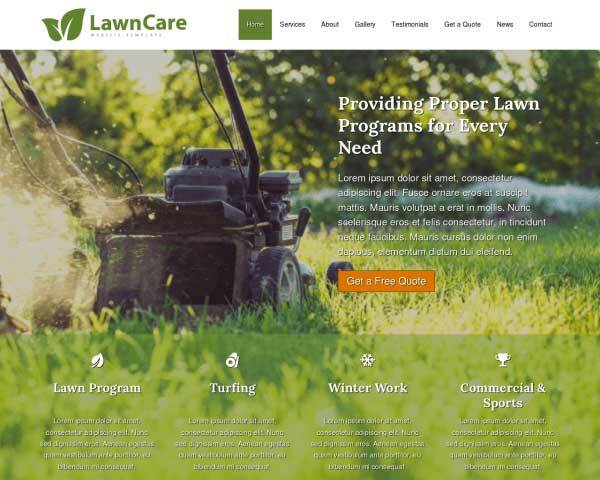 Mobile visitors will enjoy the same professional design, full-width images and user-friendly functionality of the desktop version, plus the ability to simply tap on your phone number to dial or tap your email to open a new draft.